Making a fashion statement in head to toe color block. It is April, however, Mother Nature doesn’t seem to have gotten the memo. From having a snow storm one day to having a sunny 70 degree the weather the very next, Chicago’s weather is so unpredictable. 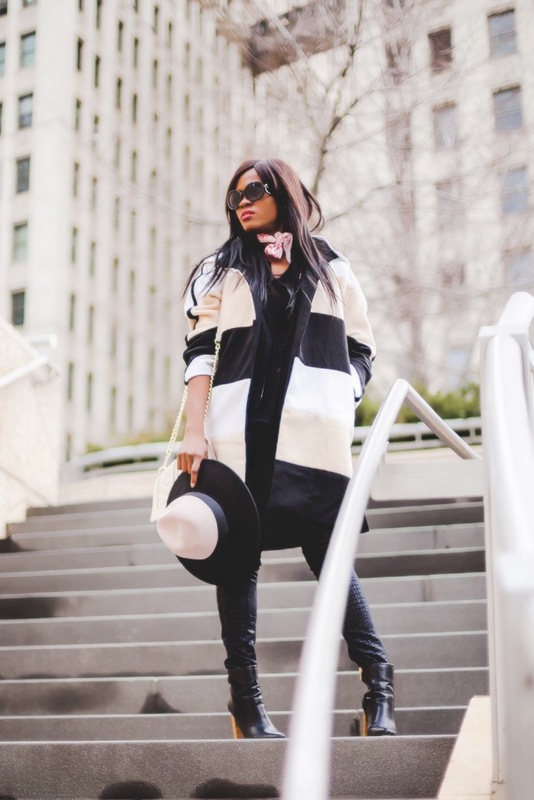 Until the weather synchs to the calendar, statement coats will continue to take center stage. 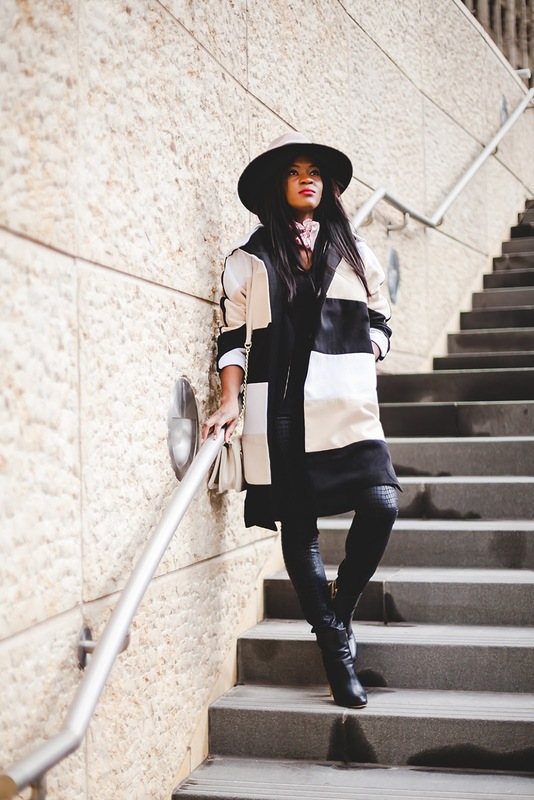 This piece from Romwe embodies chic vibes. Paired with pants and a top in all black, the focus remains on the coat. 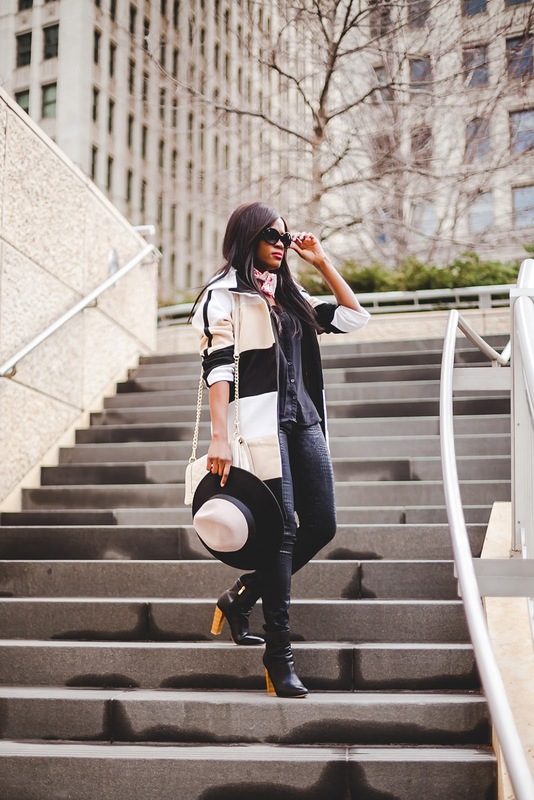 For a bold and dramatic effect, a hat and a pair of boots in matching color block completes the look. Fashion’s favorite accessory is currently the hat, think fedoras, boater hats; and I’ve got to admit, I am totally loving it.